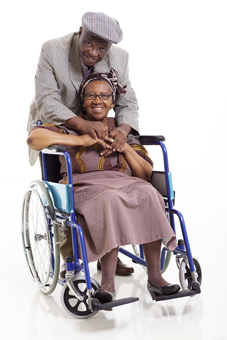 What are Elder and Disability Benefit Specialists? The ADRC of La Crosse has two benefit specialists who are integral members of the ADRC team of professionals that assist La Crosse County residents. They can help you cut through the "red tape" of confusing policies. They help people figure out what benefits they are entitled to and help them to apply .They are available to meet with you in the ADRC office or a setting convenient to you. They can provide accurate and current information on private and government benefits and programs. They receive ongoing training to remain current on any changes in public policy. The Disability Benefit Specialist provides confidential assistance at no charge to adults ages 18 to 59 with physical disabilities, developmental disabilities, mental illness and/or substance abuse disorders. The Elder Benefit Specialist provides confidential assistance at no charge to those over age 60. If your concern is not listed, call us to see if we can help or connect you with a program that can. To provide current, accurate information about public and private benefit programs. To counsel individuals about eligibility for various programs and benefits. To help people apply for benefits or appeal a denial of benefits. Where can I find a Disability Benefit Specialist? The Benefit Specialists are conveniently located at the Aging and Disability Resource Center of La Crosse County. Individuals who use sign language as their primary method of communication may receive disability benefit specialist services through the Office for the Deaf and Hard of Hearing. Services are available statewide. Enrolled tribal members who live on or near a reservation in Wisconsin may receive disability benefit specialist services through the Great Lakes Inter-Tribal Council.